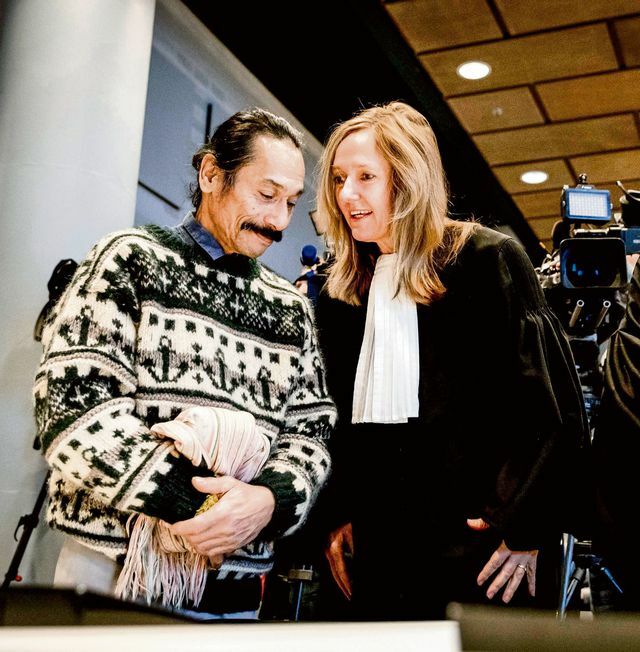 Lawyer Liesbeth Zegveld in court with Chris Uktolseja, brother of one of the Moluccans killed by Dutch soldiers. Last month the Dutch state found itself at court, accused of extra-judicial killing. I have already written how human rights lawyer Liesbeth Zegveld “has twice brought the Dutch state to court for the massacre of civilians in Indonesia, and on both occasions has won.” But that was for killings during the Indonesian War of Decolonization, back in the late 1940s. This time Liesbeth Zegveld is accusing the Dutch state of carrying out murder in the Netherlands during the 1970s.